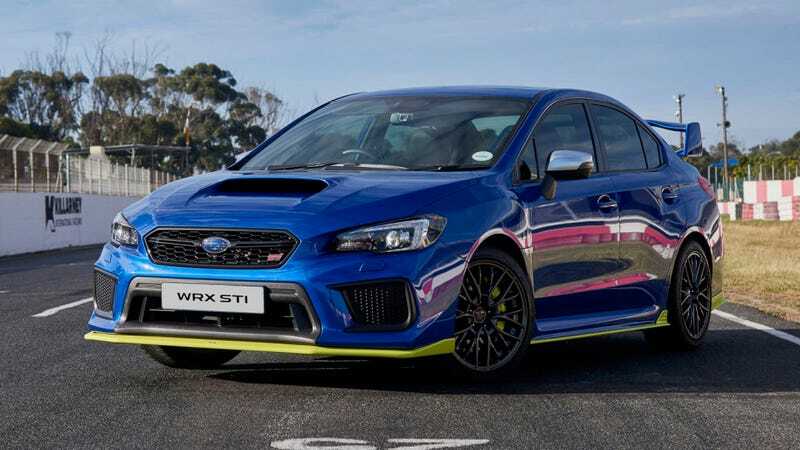 The Subaru WRX STI is already fast, but the new limited Subaru WRX STI Diamond Edition is even faster, developed by the automaker’s South Africa team to boast almost 50 more horsepower than the car we get in America. It’s meant to be the diamond of the global WRX lineup, with 349 horsepower and 342 lb-ft or torque, compared to the American STI’s 310 hp and 290 lb-ft. Beyond just being the most powerful STI available to the public, the Diamond Edition also gets upgraded Brembo brakes and some nice neon yellow-green accent pieces along the lower bumpers and rocker panels. Otherwise it just looks like any other STI, but I’m sure it goes like no other. It’d be nice if Subaru of America made it a challenge and showed up with something better.